Beneath the Stains of Time: Incredible How You Can, See Right Through Me! Incredible How You Can, See Right Through Me! "The devil's agent may be of flesh and blood, may they not?" 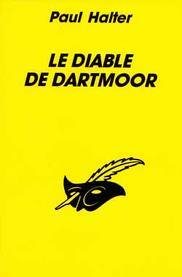 I have to 'fess up that I dreaded reading Paul Halter's Le Diable de Dartmoor (The Demon of Dartmoor, 1993) after a laudatory review, left by armchair critic Patrick At the Scene of the Crime, praising it's impossible crime element as "simple" and "dazzling effective," was followed up with a sobering notice posted on the GADWiki by Barry Ergang – saying that the solutions to a couple of the murders struck him "as a bit of a stretch" although "they weren't entirely implausible." I carefully began to tread the pages, afraid that Patrick had overenthusiastically cheered on one of his pet mystery writers, but I ended up leaning more to his opinion. However, I share Barry's reserve regarding the explanation for the invisible entity responsible for flinging a number of people from a rocky protrusion and out of an open window. The backdrop of this book is the same as Conan Doyle used for one of the most celebrated stories in the Sherlock Holmes canon, The Hound of the Baskervilles (1902), Dartmoor, England, where a ghostly hound lurks on the moors before snatching one of the local gentry's down to Hell, and The Demon of Dartmoor was apparently written after Halter went down to England to soak up the atmosphere for himself. Whether it was the trip or not, but there was one visible improvement in one of his greatest weaknesses: creating a sense of time and place that I felt was lacking in the previous books. He made me believe this time that Stapleford was a small village instead of a clutter of three or four houses where the suspects live (e.g. The Fourth Door, 1987). The outdoors scenes were also very well done. Stapleford is one of those sleepy and homely hamlets dotting the countryside that imbued Sherlock Holmes with untold horrors, "the lowest and vilest alleys in London do not present a more dreadful record of sin than does the smiling and beautiful countryside," with more than enough dirty linen spilling over the laundry basket to fill one of Dr. Watson's notebooks with untold cases. 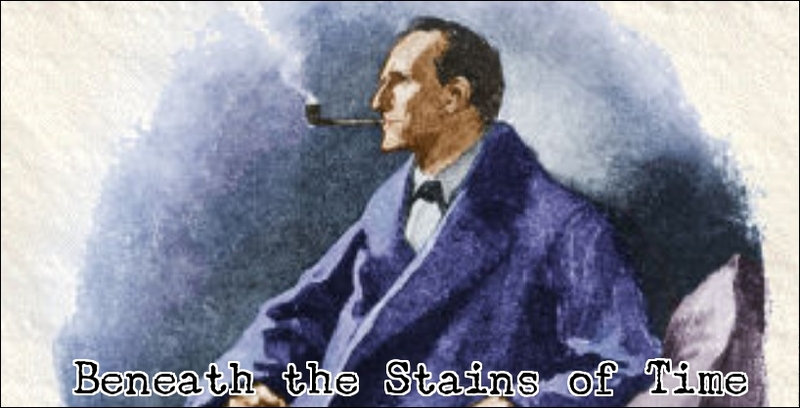 In one of Sherlock Holmes' Dartmoor cases, "The Adventure of the Winged Menace," he teamed-up with Dr. John Thorndyke to investigate a series of impossible disappearances from the Moor. Evidence points to a pterodactyl as the culprit and they meet a strange bearded man, looking like a caveman in modern clothing, who threatens them bodily harm if they hurt his pterodactyl. But let's return to Halter's flight of fancies. The Demon of Dartmoor takes off with a retrospective look at the tragic deaths of a few of Stapleford's inhabitants, three innocent teenage girls, who were flung from the top of Wish Tor, a granite spur frequently haunted by lovers, into the rushing stream below. One of the murders was witnessed and they described how the girl thrust out her arms, as if she were pushed in the back, before plummeting to her death, however, they saw nobody near the girl. Basil Hawkins even claims he saw a headless horseman riding into the sky on the day one of the girls disappeared. Skip forward a few sunsets and Stapleford welcomes actor and playwright Nigel Manson as the new owner of Trerice Manor, where a pair of invisible hands pushed a woman down a flight of stairs fifty years previously, inspiring the playwright for the inspiration for a successful stageplay entitled The Invisible Man. An impossible murder that lurks in the past is a staple of Halter's mystery fiction. As the be expected, the unseen murderer strikes again, this time in full view of a number of people who witness Nigel Manson being shoved out of a window by an invisible force. The local police call-in Scotland Yard, who send Inspector Archibald Hurst with Dr. Alan Twist in tow and they do an admirable job at making sense out of this nightmarish sequence of events. The method for murdering three girls unseen after they made the climb to the top of the precipice were disappointing disenchanting, but was nonetheless thrown off the scent here like I was balancing on the edge of a cliff myself. When I learned that the victims were heard talking to an invisible companion minutes before their fatal plunge and that one of the suspects is a two-bit promoter who loves young aspiring actresses, I simply assumed that the girls were overheard rehearsing the lines he had fed them. Luring the hopeful girls to that desolate spot for a very private audition and while they took their pose on the top to begin, they got a rock flung to their heads with a slingshot (or something) and thus you have an explanation for the invisible push. Needless to say, I was wrong and didn't like any of the solutions for this portion of the story. Nigel Manson's impossible tumble from one of the top-floor windows was a lot better explained and the solution, risky and no-success guaranteed, may impress some readers as implausible and impractical, but Halter convinced me with its deadly simplicity and even provides the murderer with a backup plan in case anything goes wrong. I had to go with Halter on this one. On a whole, Halter did a craftsman's job of forging an engaging plot from links that rattled like a good yarn and that chain of baffling events, stretching back years, made for a satisfactory read regardless of a few weak links. I think Patrick over praised the impossible crime element of the book, but otherwise I agree with his overall opinion. Paul Halter is a problematic writer, but he was better here, as a writer, than in the previous books I have read and his commitment to the keep the cerebral detective story alive is something I really admire. An inordinate amount of praise should also be bestowed on his translator, John Pugmire, who set-up shop for himself under the name Locked Room International and has been delivering a steady stream of content never before published on this side of the language barrier. A fifth translation, Le Cercle invisible (The Invisible Circle, 1996), is planed for late 2012 and the plot is "Halter's And Then There Were None, with a very clever impossible crime thrown in." Henri Cauvin's The Killing Needle (????) is also planned for a late 2012 release and features the French precursor to Sherlock Holmes. You can support John Pugmire to continue doing this by simply buying the books, as ebooks or paperback, and enjoy reading them. That's all. 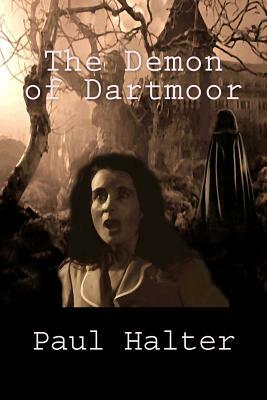 Oh, and my review of Jean-Paul Török's L'enigma du Monte Verita (The Riddle of Monte Verita, 2007) provided a blurb for that book on the back cover of The Demon of Dartmoor. Neat! What? Overrate something? Moi? Surely you must be joking! I have gone back and looked at my review, and honestly, the warm words of enthusiasm/praise was precisely for the murder-at-the-window. And I stand by my words: while a bit risky, Halter gives his killer a great back-up plan that makes the entire plan *work*. But I must disagree with you on the merits of the first three murders. The second is quite far-fetched, I'll give you that. It's the only disappointment in the story. But I liked the secret behind the headless horseman and the simplicity of the third murder very much indeed. Your solution never crossed my mind, but to be honest, I don't really like the idea very much. It requires the victims to have an IQ slightly lower than that of the average Ritz cracker... which, come to think of it, is the premise of a false solution in Halter's SPIRAL, a fake-solution so outlandish I was almost insulted that the reader was supposed to take it seriously. You described the central impossible crime as one of the best tricks you've ever read about and I think that's over praising it a bit. I give you that it's clever and simple at the same time, but I wouldn't rank it among the best solutions I have read. Not at the very top, anyway. Well, I admit that the false solution I came up with also lacks perfection and finesse, but I was quite taken in with myself for coming up with a solution that ties the fact that the victims were overheard talking to an invisible companion with the theatrical background of the characters – and using it as an explanation for the murders. I guess we have reached an impasse here, kind of like we did with WHAT A BODY! It seems we won't be able to agree on the merits of the impossible crime, but honestly, I stand by my words. It's one of the most fiendishly simple, yet effective, tricks I've ever come across. Incidentally, I hope you didn't think I was trying to be vindictive or anything with my comment about your false solution. I just don't like solutions in that general vein, where victims are manipulated to do the most outrageously idiotic things to make the solution work. Like a murderer saying to his victim: "Look here, my boy... Stand on this chair, will you, and please be so good as to slip this noose over your neck?" Although when you can get a solution in that vein to *work* -- like when a killer takes advantage of a habit or a perfectly natural reaction -- the result can be excellent. It's just that there are too many misses in this category. Well, I'm convinced that, within a few years, you will be able to appreciate What a Body! as much as the rest of us does. You only need to read a ton more of locked room mysteries because I think that's the major difference between us. I have read and seen so much of them that I appreciate What a Body! and The Stingaree Murders for their sheer originality. I don't know if you read The Invisible Circle yet, but I disliked the REAL solution to that book for the same reasons you disliked the fake solution to Spiral. I still need to read more Halter. Still not sure where to start with though: there are apparently Japanesee translations of the Twist novels up until La Tête du Tigre and while they cost almost twice as much as normal pockets, they're still less expensive than the recent English translations (yes, I know the books are different, but still...). "The Fourth Door" is an excellent starting spot, and I've heard nothing but praise for "The Seventh Hypothesis", ranking it among Halter's best. "The Madman's Room" is also supposed to be good. If anything, I would avoid "Death Invites You", though, because it has a somewhat disappointing resolution with one major hole in the explanation-- although it does have great comic relief. I echo Patrick's suggestion for The Fourth Door. Knowing Ho-Ling's taste a bit, I think he would like that one the most. Why So Serious, Inspector Ghote?